Hindustan Construction Company (HCC) on Tuesday said it was raising Rs 1,750 crore through monetisation of claims and signed terms with a consortium of investors, led by BlackRock, who will seek to monetise an identified pool of arbitration awards and claims for the construction giant. “Under the terms of the transaction, HCC will transfer its beneficial interest and rights in an identified portfolio of arbitration awards & claims to a special purpose vehicle (SPV) controlled by a consortium of investors, including BlackRock,” the company said in a statement. HCC will receive a consideration of Rs 1,750 crore from the SPV, which will be utilised to prepay debt of Rs 1,250 crore, including its entire term loan of Rs 942 crore which is due in the next three years and Rs 308 crore of Optionally Convertible Debentures (OCDs). The balance of Rs 500 crore will be made available to fund working capital and business growth. Consequently, the balance sheet of HCC would stand substantially deleveraged, with debt servicing over the next four years being limited to its working capital facilities. The proposed transaction was approved by the Board of Directors on Tuesday and is subject to requisite approvals. As a result of the transaction, the company expects approximately Rs 2,000 crore of working capital assets, being a combination of adjudicated awards and lodged claims, to leave its balance sheet, which will result in a partial write down of net worth. “HCC will stand substantially deleveraged as a result, which will bring us towards the end of our financial turnaround process. Approximately half of the claims on HCC books will be transferred,” Arjun Dhawan, Director & Group Chief Executive Officer told Business Standard. When asked whether the company was scouting for more such opportunities in the future, he said that there was no strategic plan as the company will first look at balance sheet repair and then look at future growth. The precise amount of write-down will be ascertained in HCC’s year-end accounts and is not expected to impact the company’s business prospects materially, Dhawan said. HCC will continue to retain a material amount of awards and claims with the transaction being limited only to an identified pool of awards and claims. The agreement also envisions a claw back of value by HCC from the SPV in the event that the recovery of awards and claims transferred to the SPV exceeds certain thresholds. 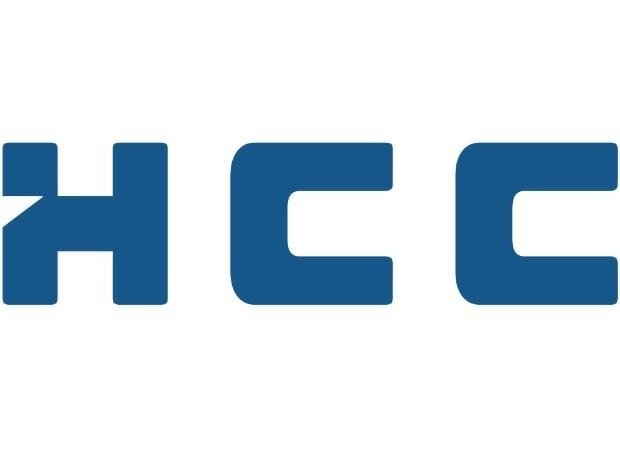 Earlier this fiscal year, HCC successfully completed its Rs 497.6 crore Rights Issue, which was oversubscribed, resulting in an increase in Promoter Group shareholding which currently stands at 34.85 per cent. HCC has also received formal notification from its lenders earlier this month that the CDR scheme no longer applies to the company. The company also sold its Farakka-Raiganj Highways Ltd (FRHL) to Singapore-based Cube Highways and infrastructure for Rs 1,700 crore. Currently HCC has presence in the infrastructure sectors of transportation, power and water. The HCC Group, with a group turnover of Rs 10,132 crore, comprises HCC Ltd, HCC Infrastructure Co Ltd and Steiner AG in Switzerland.